The Set of Two 32 Ounce Tumblers features a stylish, contemporary, tight-nesting design with a tapered shape for a comfortable hold. Available in attractive, eye-catching tints, these tumblers have a textured surface with a hint of polish around the rim for visual appeal. 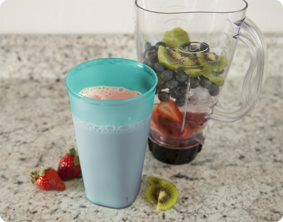 These tumblers offer an easy-to-clean surface and are freezer and dishwasher safe. 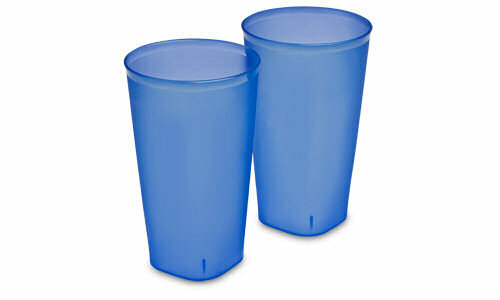 These tumblers are also perfect for regular day-to-day use and are great for parties or special event gatherings. 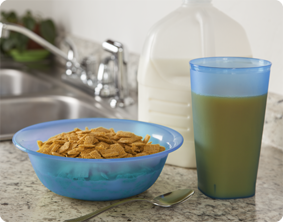 When not in use, the tumblers stack safely and securely creating more efficient storage space in your home. Like all Sterilite beverage items, these tumblers are BPA-free and phthalate-free to ensure your served beverages are fresh, safe and healthy for you and your guests to enjoy. The overall dimensions of this item are 4 1/8" Dia. x 5 5/8" H.
Overall Assembled Size: 4 1/8" x 4 1/8" x 6 3/4"
Ideal for a large serving of juice. Perfect for serving your favorite smoothie or mixed drink. 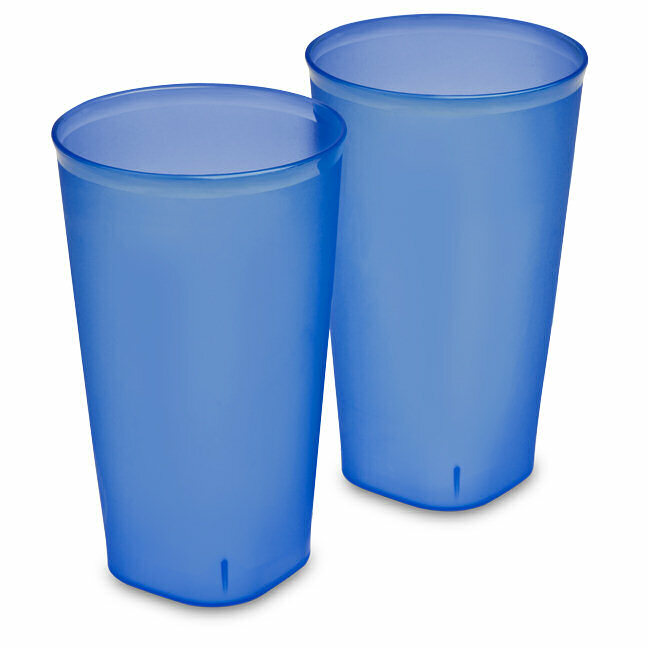 Set of Two 32 Ounce Tumblers is rated 4.0 out of 5 by 1. Rated 4 out of 5 by Whaledove from Inexpensive option The price was right. Look nice. Will be great to make sure I increase my water intake. Inexpensive so I do need to worry taking into the shop or yard. I had the pleasant supprise of gettin a cup holder handle which I did not see on the site.